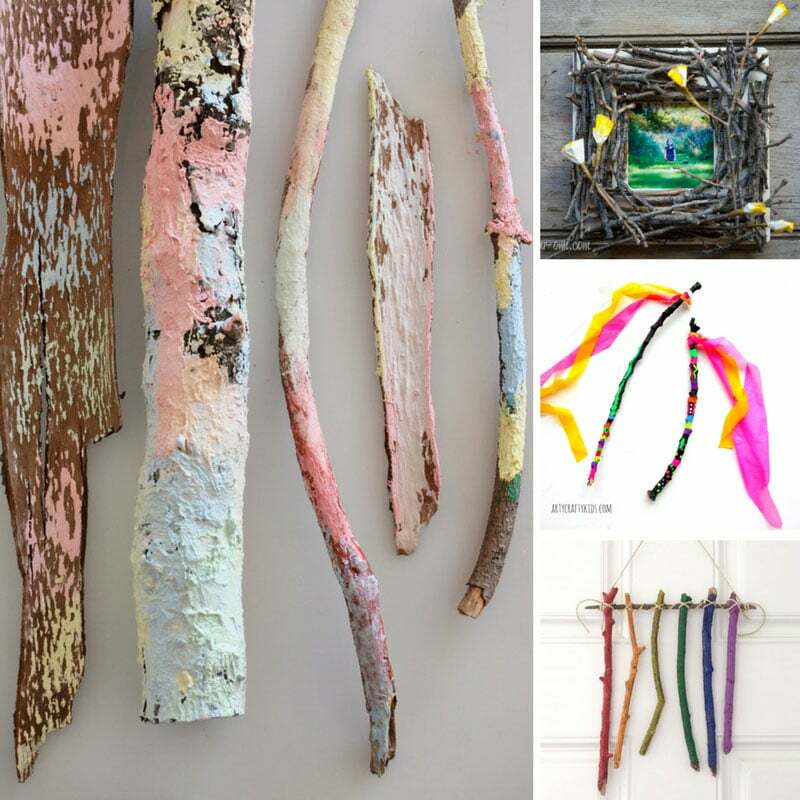 If your child loves collecting sticks you need this collection of twig crafts for kids of all ages. From fairy wands to twirling mobiles there’s plenty of fun ways to craft with sticks! The other day I rounded up some gorgeous wind chime crafts for kids so when we were out at the park this week I asked the kids to collect a couple of sticks so we could make some. 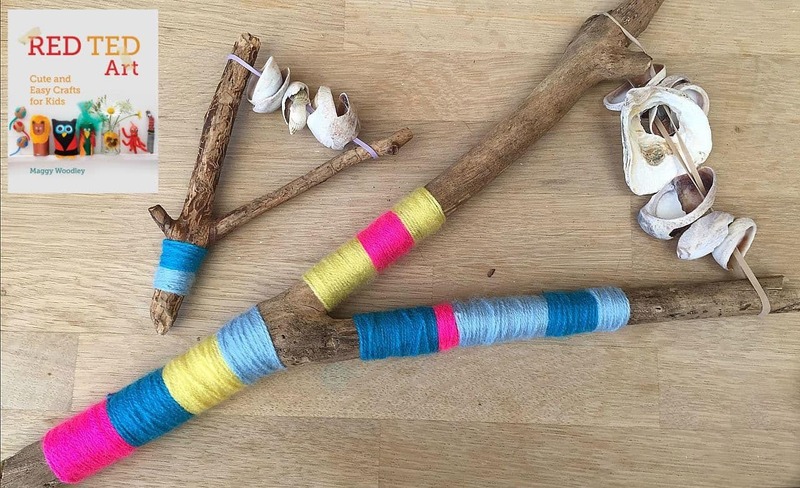 Of course you know what kids are like with sticks, they can’t stop at just one stick… So today I’ve been searching for some twig crafts for kids to make. Yep crafts with real twigs, not sticks as in the craft/popsicle variety! And oh my. I found so many fun ideas we’re going to have to go out and collect some more sticks! And I know it goes without saying, but don’t forget to remind your child that while they’re looking for sticks and other items for these nature crafts they need to be picking items up that have fallen to the floor, not taking them directly from the tree or plant. 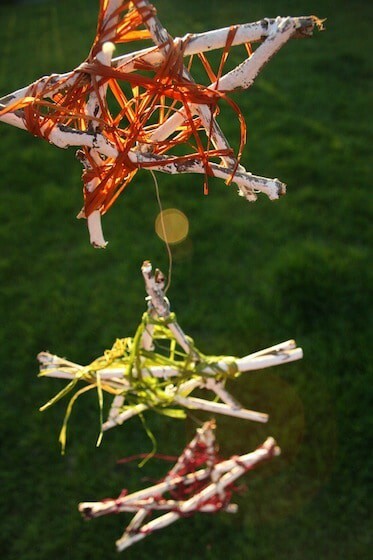 You can make these twig ornaments to hang on your wall or even save them to hang on your Christmas tree! 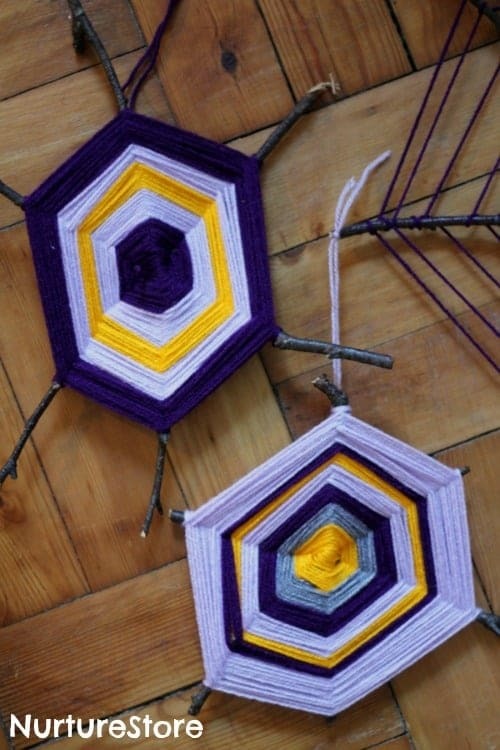 This is a very calming project for children as they have to just concentrate on weaving the yarn around and round. This is a great craft for school aged children and teens would likely enjoy it too. This project is perfect for hand/eye co-ordination and fine motor skills as your child will experiment with using the materials in different ways to make their own photo frame. You could make your own art gallery at home, or give these as homemade gifts to family members. This project is suitable for kids of all ages, just be sure to handle the glue gun for the littles. How beautiful are these? Sometimes the simplest of crafts are the most effective don’t you think? 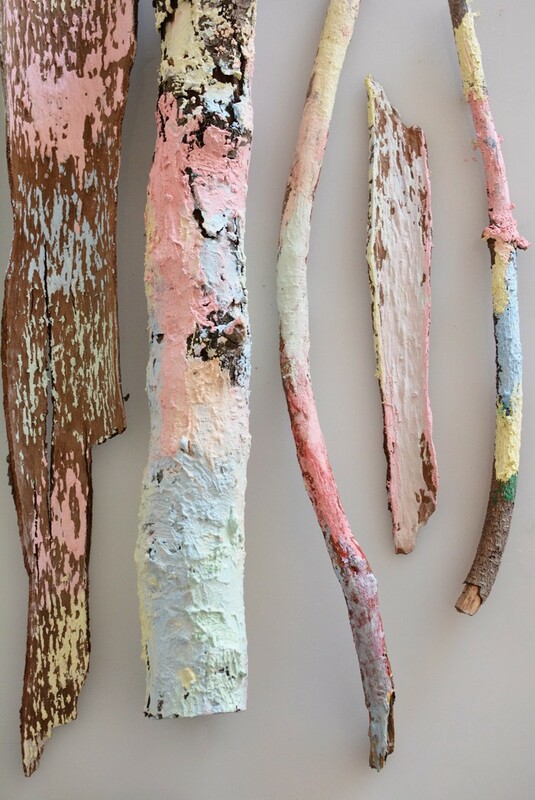 You could make the most striking art piece for a wall in your home with these chalk painted sticks. This super simple craft is just perfect for your toddler and even your preschooler. I love this idea! 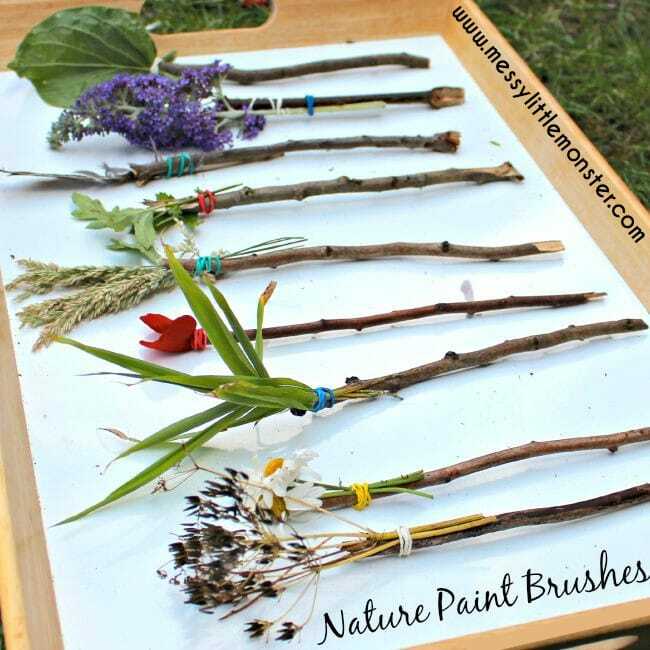 Go on a nature walk with your child to collect all sorts of twigs and leaves and flowers from the ground, then turn them into paint brushes! This project is great for toddlers and preschoolers. Ha! How adorable are this motley crew? This project is a great way for you to help you children develop their imaginations, creating their own little cast of characters and then using them for story telling! This is a great stick craft for preschoolers. These brightly coloured yarn sticks would make a fabulous display on a mantel or even as a centerpiece. 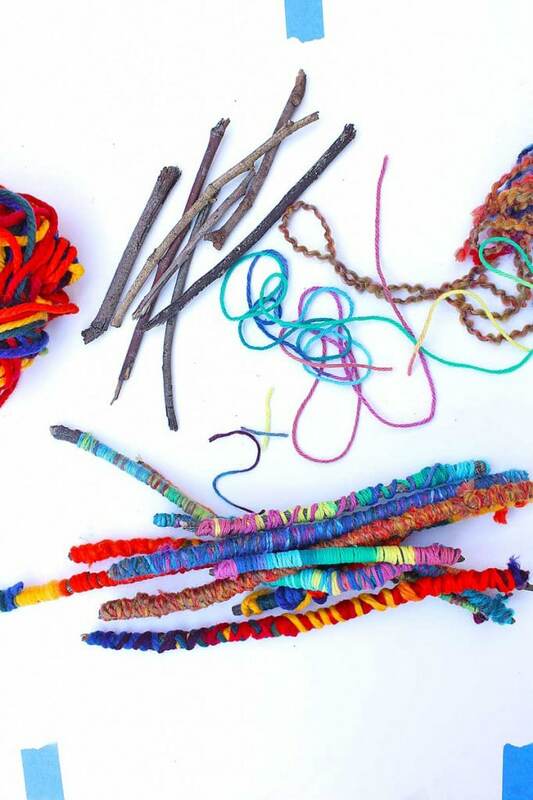 Younger children can have fun with this project but it’s probably best suited to school age children who will have the patience and finesse to wrap the yarn neatly. 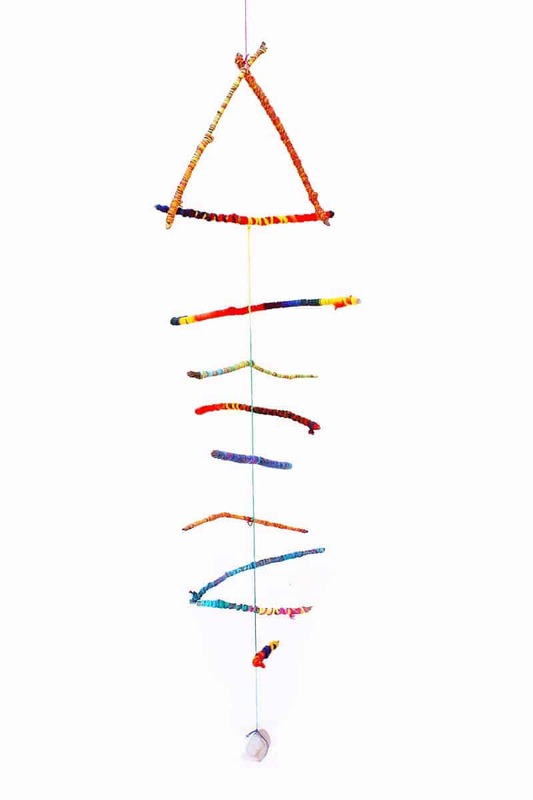 If you decide to give the yarn wrapped sticks a try check out this project which takes things a step further by turning those brightly colour sticks into a clever twirling mobile! Your craft session just morphed into a little engineering project! 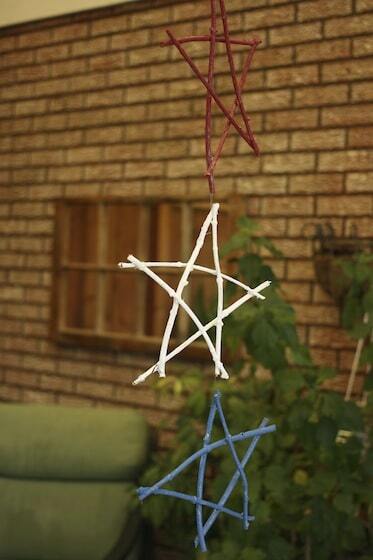 Oh I am totally in love with these summer twig stars. Just look at how amazing they are when the sun shines through them! These are going to look fabulous hanging up in your back porch, or even indoors by a window that catches the sunlight! There’s a glue gun involved in this craft, but once you’ve made the star shapes out of the twigs even the tots can have fun decorating them. 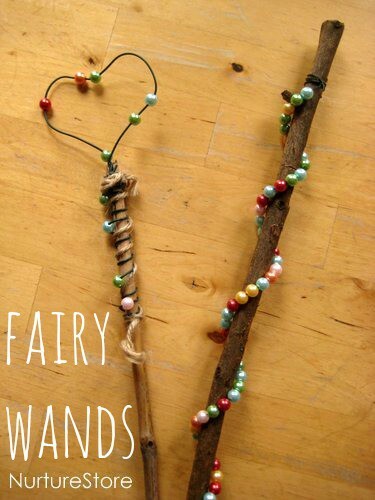 If your child loves anything magical then you need to put your sticks to good use making some of these gorgeous wands! I love the bright colours that give these wands a magical pop! 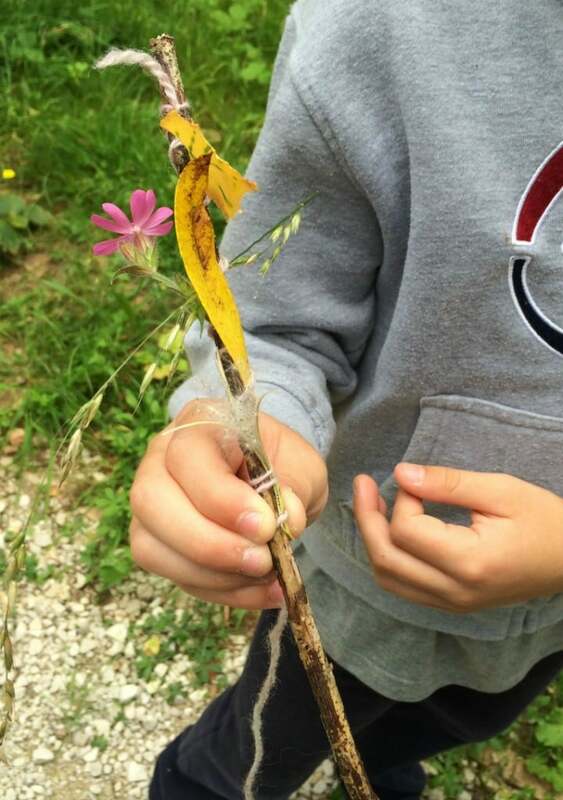 Kids of all ages will love this fun stick craft. And just because we are into fairies in our house right now I have to include a project for making an actual fairy wand, you know rather than just a magical one! This project uses garden wire which can be a bit spiky at the end so probably best keep this craft for school age children. Related craft: Don’t miss our collection of DIY fairy gardens you can make this weekend! 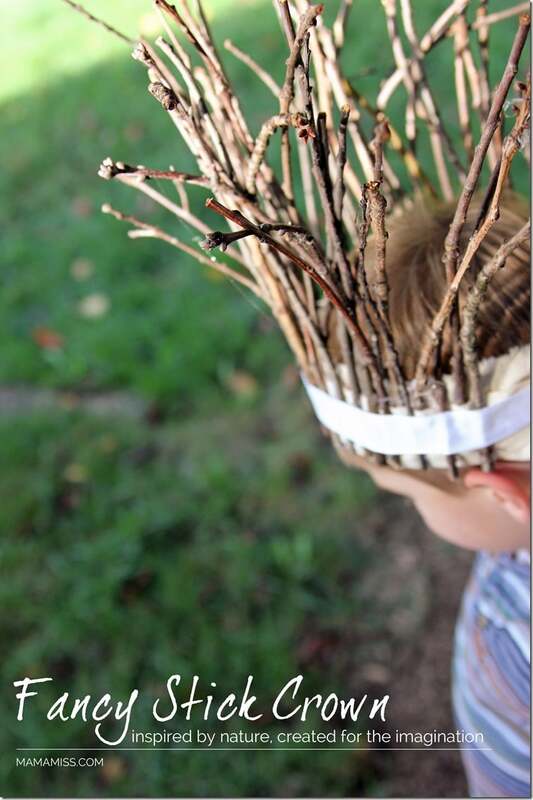 While we’re playing make believe with our magic wands how about collecting up a whole armful of sticks and making one of these fabulous stick crowns! 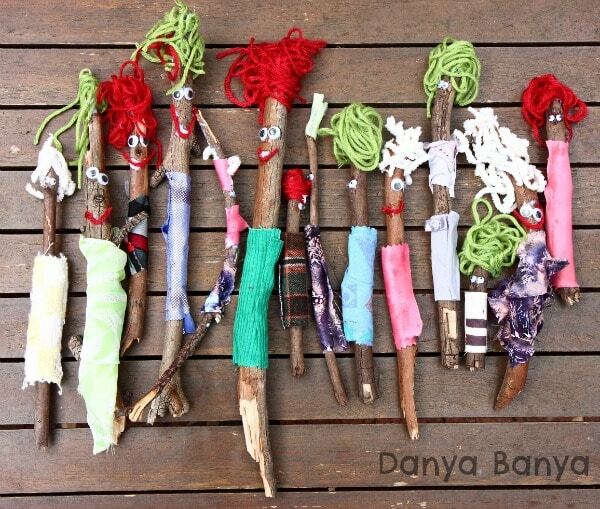 This stick project is perfect for preschoolers. 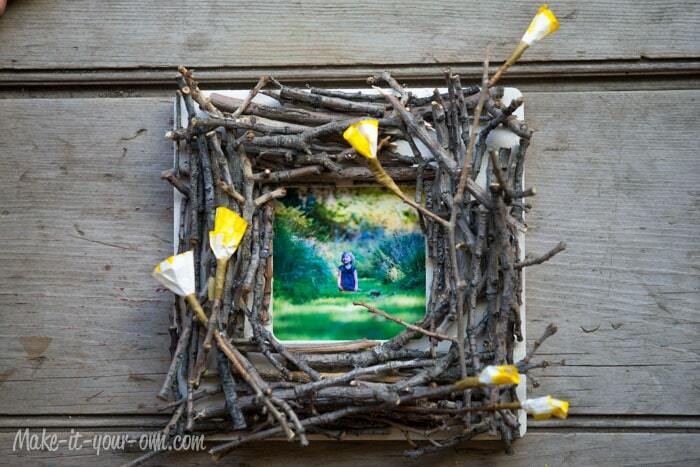 I love this nature craft idea because it’s something your child can make right while you’re out on a nature walk! This is something that school aged children will enjoy making as well as toddlers and preschoolers who like collecting treasures! 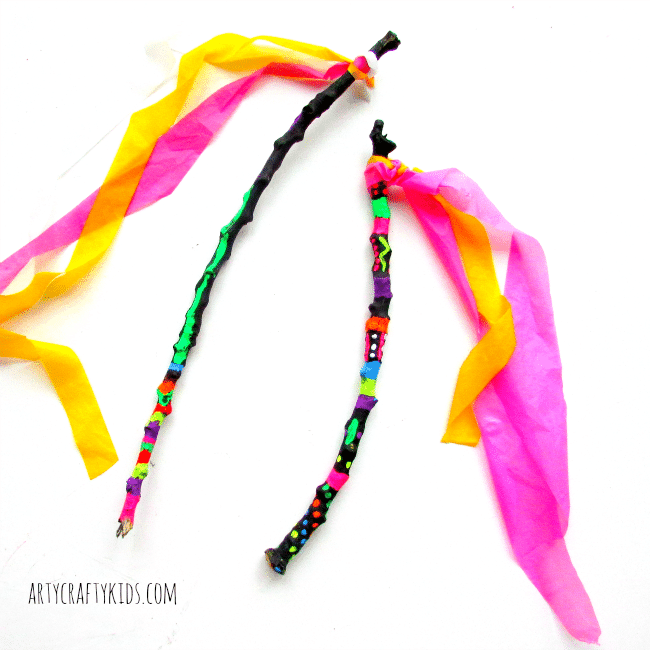 If your child needs fine motor practice and they’re bored of threading beads onto pipe cleaners this is the craft for you. 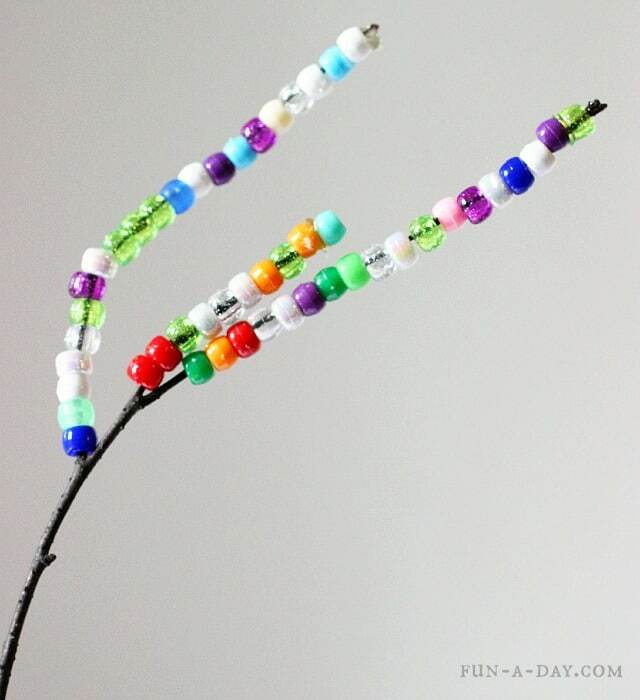 They can mix things up a little by making some beaded sticks instead! This is great for preschoolers. When I first saw this driftwood craft I thought it was a catapult, but it’s actually a nature rattle! This is a craft that you can make right on the beach (if you prep in advance) and once they’ve made their rattle your child can enjoy making music with it. This is a great nature project for preschoolers and even school aged children. If you’re looking for fun crafts to make over the 4th of July weekend this project is one the whole family can enjoy together. The younger children can prepare the sticks while the older kids (or grownups) can handle the glue gun! Related crafts: Check out our Patriotic crafts collections for more red, white and blue projects! 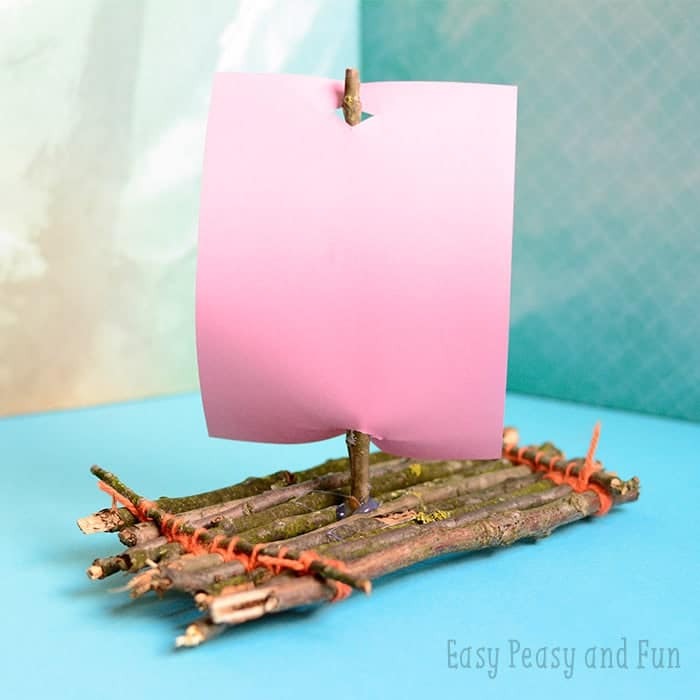 For this nature project your child will learn how to make a raft, miniature style, using twigs! When their raft is built why not see how well it floats, in the bath, a puddle or a pond? You could even host a regatta and have a raft race! This craft is perfect for school aged children. How cool is that? 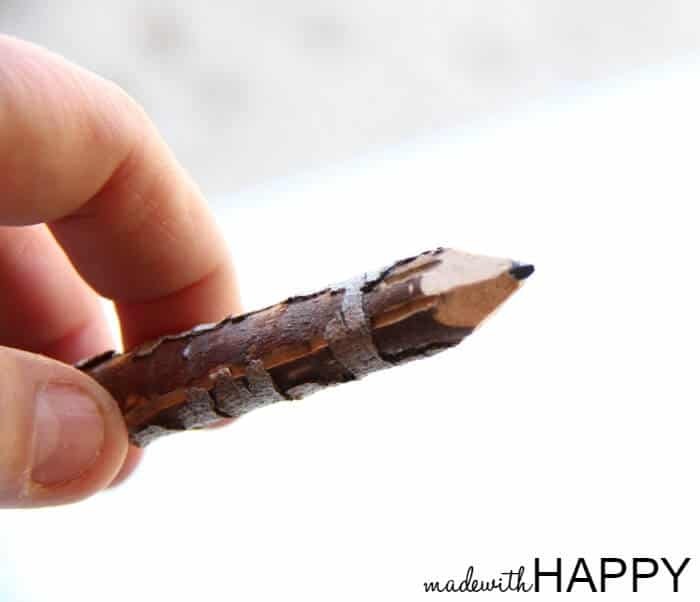 A pencil made from a twig! This is a perfect back to school craft and I bet the teacher would love a bundle of these too! This project involves a drill so is best kept for older children. Don’t you just love it when a toddler craft becomes a keepsake? Your toddler or preschooler will have a blast painting their sticks. And it’s the perfect opportunity to talk about what happens when you mix colours together, or what colours make up a rainbow. Once the project is dry hang it on the wall for everyone to admire! 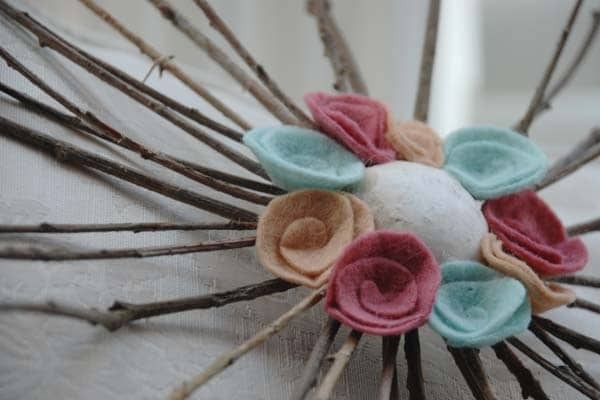 This twig project is perfect for kids of all ages, but especially the little ones. 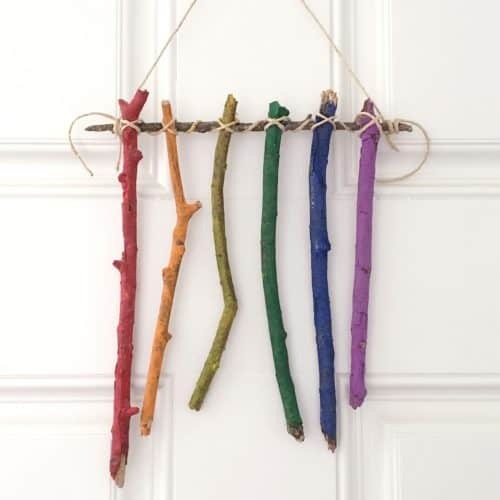 Here’s another idea for using twigs to make a wall decoration. I love the Spring feel to this one! This is a lovely craft to do with your tween or teen. 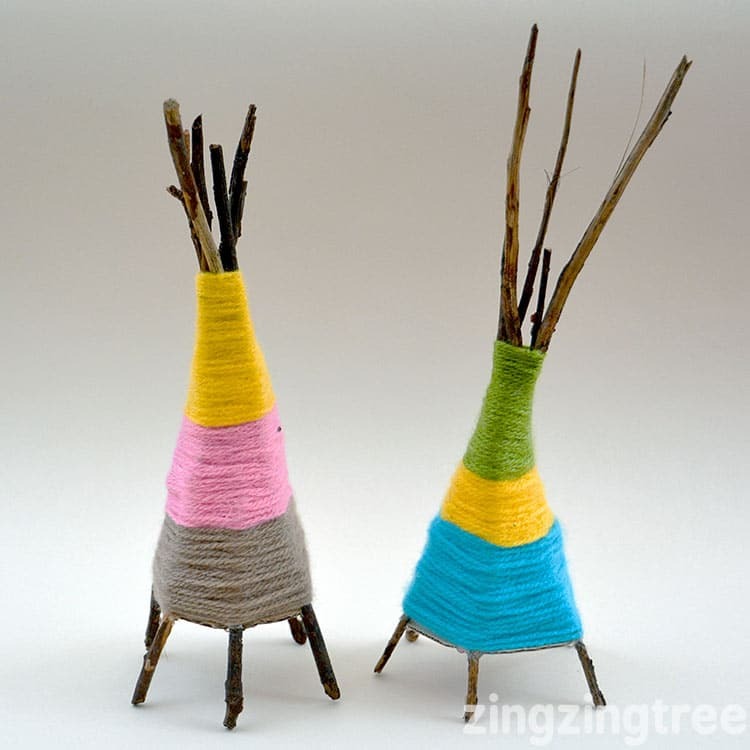 These twig teepees are supposed to be used as tea light holders but my first thought when I saw them was that they would make a fabulous addition to any fairy garden! It looks a bit tricky to maintain the teepee shape while winding the yarn so I think this would be a project for school aged children rather than little ones.